The player controls a character that moves around and interacts with the environment in response to key presses and mouse clicks. The action is viewed from a first person perspective (through a camera positioned where the character’s eyes would be). Moving the mouse makes the character look around, allowing the player to rotate the camera – the currently equipped weapon is always aimed at the crosshair in the centre of the screen. The player moves using a standard WASD system. Either Space or Ctrl can be used to jump, enabling the player to get on top of objects, leap between platforms, or jump over obstacles for example. C is used to crouch, making it easier for the player to hide behind cover (and presenting a smaller target to enemies) but making them move at half speed. When the player enters sufficiently deep water the character begins swimming. Swimming uses the same controls as when moving on land, except that the player moves towards where the crosshair is pointing when holding W, and away from it when holding S. The player can float up or down when swimming by pressing Space/Ctrl or C respectively. As the player levels up his or her character, additional actions can be unlocked by purchasing skills. Movement-related abilities include the following. The player can interact with NPCs and certain objects by using the E key. Weapons can be picked up by holding the E key. Quest NPCs and shopkeeper NPCs are interacted with by pressing E, then using the number keys or mouse’s scroll wheel and Enter to select an option to move the conversation onwards. Civilians and enemies generally can’t be interacted with. Vehicles and turrets can be entered by holding the E key. The player has access to an area map and a world map at all times. When the M key is pressed, a map of the local area is displayed, with points of interest marked on it. A button can be clicked to zoom out to view the world map, which has settlements and major points of interest marked. The HUD has a minimap which is located at the top right of the screen, showing the area around the player, with the player in the centre. This also functions as a motion sensor, detecting allies and enemies which move and showing them as green and red dots respectively. The positions of the player’s squad members are also shown at all times as dots with borders. When the player is detected by at least one enemy the music changes to a combat theme, and the squad counts as being in combat in Campaign mode. This means that players can’t respawn until all enemies in the area are defeated. Left clicking with the mouse causes the current weapon to use its primary function mode (generally an attack), and right clicking uses its secondary. Holding down a button has a different effect depending on the weapon and button, for example holding left click whilst wielding a machine gun will cause it to fire repeatedly. Examples of secondary functions include another type of attack, a scope, (ranged weapon) or another form of magic (rift weapon). Weapons come in three classes: ranged, melee and rift magic. When wielding a ranged or rift weapon, pressing Q or middle clicking uses a basic melee attack, which knocks back enemies (unless they are currently using a sprinting melee attack) and does a small amount of damage. Certain weapons or attacks have a random chance of knocking down a pawn when used. This chance is modified by the target’s agility, the user’s strength (if it’s a melee attack), and the weapon’s knockdown chance. If the knockdown is successful, the target falls to the ground and takes one second to get back up. Whilst on knocked down, a pawn takes double damage. If the player holds Q or middle click whilst wielding a melee weapon the block function is used as long as the key is held. Standard melee weapons can only reduce the damage from melee attacks, but shields can reduce any type of damage. While blocking, a pawn moves at three-quarter speed, and if also crouching it moves at quarter speed. The player can carry a maximum of two light weapons, one heavy weapon, and one piece of equipment at a time. The player also dual wields certain light weapons (use them both at once), this is done by simply running over another weapon of the same type. To change between slots, the player can either press 1, 2, 3, 4, and 5 or use the mouse’s scroll wheel. It will take three seconds to change between weapons, so that it’s actually effective to dual wield a melee weapon with a ranged or rift weapon. To swap weapons, the player must run over a weapon on the floor (or if currently buying or trading a weapon, choose which slot to sell or trade and click the appropriate button). If picking up a heavy weapon, it will automatically replace the current heavy weapon. If picking up equipment, it will automatically replace the current equipment. If picking up a light weapon whilst a piece of equipment or a heavy weapon is equipped, the weapon in light slot two will be replaced. If picking one up with a light weapon equipped then it will replace the one in that slot. Each pawn has a maximum health value, and a current value which is reduced when the pawn takes damage from weapons, falling, or environmental hazards. A player’s maximum health value is determined by his or her rank in Endurance. One of the first skills available to the player is Health Regeneration – the player is required to purchase this as part of the tutorial level in the Campaign. This means that when the player’s current health is less than his or her maximum health and that player doesn’t take damage for ten seconds their health begins regenerating, until it reaches maximum or the player takes damage. When a pawn takes damage, the amount taken away from its health is reduced by a percentage value, which is based on a combination of armour, its Endurance value (natural armour), whether it’s blocking with a shield, and whether it’s blocking with any melee weapon (for melee attack damage only). When a player or tough enemy reaches zero health, he or she falls to the ground and is no longer able to move, but can still attack with light weapons (and dual wield). The downed pawn has a secondary health bar which starts at fifty percent. The pawn still regenerates health while downed, so if one hundred percent health is reached then it gets back up. Also if the pawn is a player then it gets back up once all enemies in the area are defeated. If zero health is reached then the pawn is killed completely. Pawns on the ground can still be healed, and equipment or magic which revives downed pawns can be obtained. Players respawn (or spawn if they have just joined the game) when a checkpoint is reached near to the player that activates the checkpoint. The player can use consumable healing items such as Stimpacks to instantly add to their current health at any time (unless at full health already). These take up slots in the player’s Backpack. The player can use a healing item by either double clicking on it in the Backpack screen or pressing F1 which automatically uses the most efficient, least wasteful item. This is the item that heals the most amount of health without taking the current health over the maximum health (causing the extra healing points to be wasted). To heal an ally instead of him or herself, the player must stand close to the ally and press F2. Ranged weapons do damage from a distance. There are two different types of ranged weapon damage: instant hit and projectile. Instant hit attacks aren’t perfectly accurate (how accurate is based on the player’s rank in Accuracy). Projectile attacks fire a particle from the weapon, which moves at a different speed depending on the weapon (for example a rocket would move slowly compared to a shotgun shell). When a projectile or an instant hit attack collides with a pawn or destructible scenery, the projectile is destroyed and whatever was hit takes damage. Certain projectiles are explosive and detonate on collision, dealing damage to anything nearby. Every shot uses up ammo – there are nine types of ammo, which are all used in multiple classes of weapon. Ammo can be replenished by picking up ammo containers or running over weapons on the floor. The player can take up to the maximum of each type of ammo with him or her at all types. Certain weapons have limited ammo capacity, and so must be reloaded. This happens automatically when the weapon runs out of ammo, but can be triggered manually by pressing R. Most weapons deal higher damage when hitting an enemy in vulnerable locations. A headshot deals double damage, but hitting the arms or legs does only three-quarter damage. Some weapons can temporarily cripple by hitting a pawn in the arms or the legs. Crippling an arm slows reload speed and melee damage, and crippling a leg reduces movement speed and jump height. Melee weapons do damage to pawns directly in front of the attacker. Each weapon has a different damage arc or area of collision. The primary attack (left click) is movement based, so the faster the attacker is moving the more damage is done. The damage arc also depends on which direction the attacker is moving. Holding down the primary attack performs a power attack if the Power Attack skill has been purchased. This attack does triple damage, but takes two seconds to charge and is interrupted if the pawn performing it takes damage. If a power attack is successfully performed on a downed enemy (and the Finishing Move skill has been purchased) then the enemy is instantly killed. Players can wield artefacts which allow rift energy to be channelled through them. The powers available depend on the crystal’s element (Fire, Water, Earth or Storm). The magnitude of each power depends on the caster’s proximity to a rift – the closer he or she is, the more effective the power. Each artefact has a melee attack like a standard ranged weapon. Two buttons are used to cast, although six powers are available for each element. Rift artefacts use rift energy rather than ammo. There are no pickups which restore rift energy, instead it recharges constantly. When a spell is cast, energy is used up. Every time a spell is cast the recharge rate is quartered for three seconds. When using a charge spell energy is used at the start as usual, but it also decreases slowly while the spell is being charged. Charge spells take eight seconds to charge, but don’t have to be released until the energy reaches zero. When the button is released, the power activates, aimed at where the crosshair is. The player gains experience (EXP) for various feats. The main sources of EXP are damaging enemies, killing enemies, completing Quests, Missions and sub-objectives (in Campaign), and completing objectives (in Conquest and Skirmish). For every point of damage a player inflicts on an enemy, the damaging player gains one EXP. In Campaign, whenever an enemy is killed all players gain EXP depending on the difficulty of the enemy, which is reduced by the amount of players in the squad. Additional EXP is earned by killing enemies in interesting ways, such as using terrain traps. EXP is also awarded for sparing the lives of enemies in certain situations in Campaign mode. Enemy difficulty doesn’t change depending on the player’s level, but boss difficulty does. Bosses’ attributes are increased by the average level of the squad. Friendly fire (damaging allies) is present in the game, although there is an experience penalty. Every point of damage caused to an ally reduces the damager’s EXP by two, encouraging the players to be more accurate. If a player is downed, he or she loses EXP based on how difficult the combat is (the easier the fight the higher the XP loss). Players cannot go down a level. When the required amount of EXP to level up is earned, a message is displayed telling the player. The character (or “hero”) screen can be opened by pressing H. This shows information about the character: overall level, attribute levels, available skill points, available attribute points, and purchased skills. There is also a section where skills can be purchased, and buttons to increase attributes. 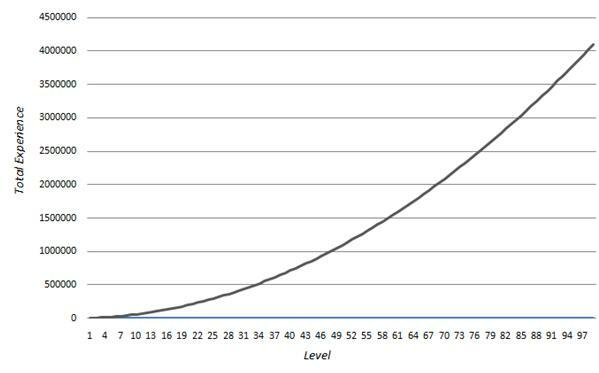 The maximum level that can be reached is one hundred, and the starting level is one in Campaign, and twenty in Conquest and Skirmish. 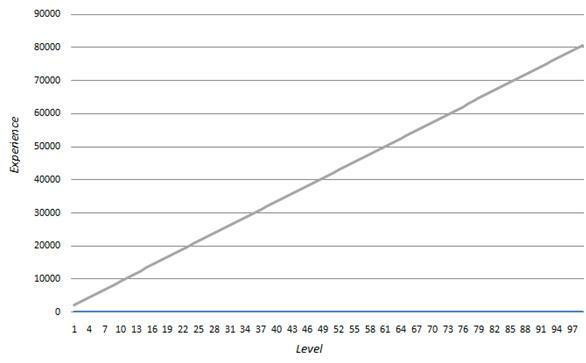 The amount of EXP required to level up increases each level. Every time the player gains a level, all of his or her attributes increase by one. Also the player gains five points to put into whichever attributes he or she chooses. All of the attributes have inherent passive benefits, that are unlocked at certain attribute levels. Constitution Increased toughness (take less damage) – three percent attribute points. Agility Increased jump height – three centimetres per attribute point. Increased jump attack damage – one damage per three attribute points. Reduced chance of being knocked down – one percent per three attribute points. Increased run speed – eight centimetres per second per attribute point. Reduced reload time – one percent per three attribute points. Increased rift magic casting speed – one percent per three attribute points. Increased running mêlée attack damage – one damage per three attribute points. Vitality Increased Health Regeneration – one per attribute point. Dexterity Reduced shot spread – one percent per two attribute points. Increased ranged weapon damage – one damage per two attribute points. Willpower Increased rift magic power magnitude – five percent per level. (Locked until later in Campaign). The player can enter a vehicle by standing next to it and holding down E if the vehicle is unoccupied. If an enemy is in a vehicle, the player can hijack it by holding E next to it if it’s moving slowly enough. Certain vehicles can transport multiple pawns, as either gunners or passengers. Each vehicle has its own health bar, which doesn’t regenerate, although can be repaired using a Wrench or similar item. Certain controls are standard for all vehicles, but others vary. The mouse is used to move the camera (and therefore aim the weapon if the vehicle has one) in a wheeled or tracked vehicle. The only difference between the two is that tracked vehicles can turn on the spot. To turn in a hover vehicle the mouse is used, the same way as the standard pawn is controlled. To turn in a flying vehicle the mouse is used, the same way as the standard pawn is controlled. In addition to this, the vehicle can move up and down, like the pawn when swimming. Certain aspects of the environment can be destroyed by weapons fire, or by heavy objects being thrown or falling. Most of these are aesthetic, such as the floor being cracked by explosive damage, but in some cases enemies can be damaged by the environment. Many objects in the game can be used as cover, but some of these objects take damage and can be destroyed. There are many “terrain traps” in the world, such as weakened pillars with a collapsing roof above, allowing the player to defeat enemies in interesting ways, conserving ammo and gaining additional XP. Also, certain hazardous environmental features damage the player and enemies, such as areas of fire, which can be used tactically in combat.